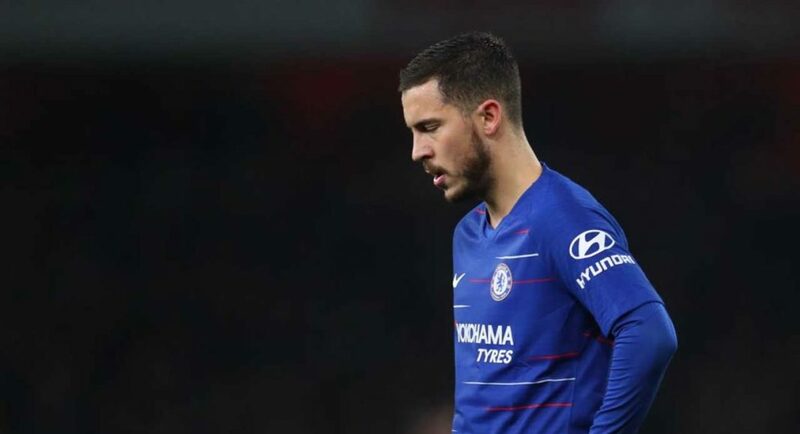 Eden Hazard has reportedly decided to leave Chelsea and sign for Real Madrid, having received assurances that they will bid for him this summer. This information comes from the Telegraph‘s Matt Law, who tends to be pretty clued in when it comes to Chelsea football club. He believes that Hazard’s decision has been made and he will ask to leave this summer. Real Madrid’s interest is the worst kept secret in football, closely followed by Hazard’s desire to play for them. It may be a match made in heaven from both of their perspective, but his exit could be devastating for us. Hazard is thought to have received assurances that Real Madrid will bid for him and now feels comfortable enough to officially leave Chelsea. Quotes emerged midweek of him claiming to have made a decision on his future. This really could be the end for Eden at Chelsea. Of course, only time will tell if the information published in this report is reliable, but we fear that with Hazard’s contract ticking down, this will really be it this time.